I’m building this site in preparation for my AWS Certified Solutions Architect exam. 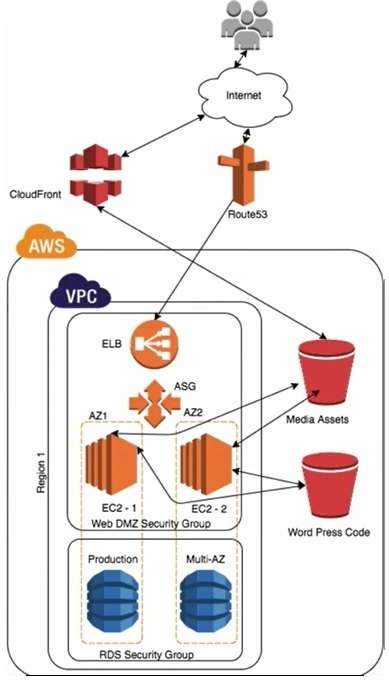 It is running entirely in AWS with the features and configuration outlined below. And yes I know all my domains are pointing here! Two – Linux AMI sessions. One – S3 bucket containing all media for the website. One – S3 bucket containing all content for the website. One – CloudFront Distribution to deliver the website. Six – AWS Availability Zones. One – RDS MySQL instance. One – Elastic Load balancer.